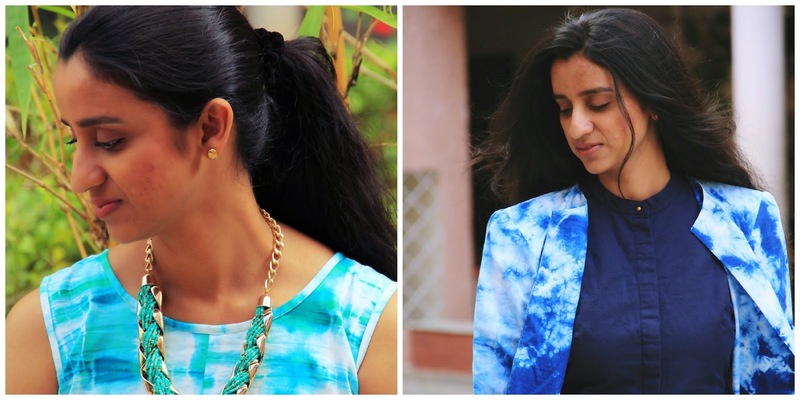 IshtyleAwhile - A Chennai based Indian Fashion Blog - Summer Ma(Y)gic #17: OOTD: The green pants. Summer Ma(Y)gic #17: OOTD: The green pants. It is already post number 17. I am so close to achieving 20 posts and I am so excited!! I have managed to blog everyday this month from the 6th (except on Sundays) and that is a really feat for me. I am so proud of me. 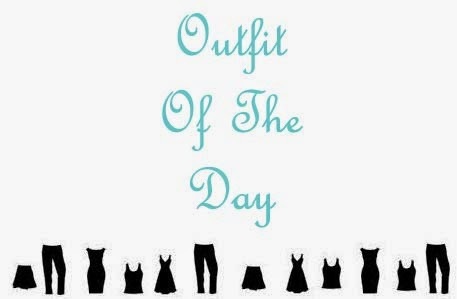 Well Today I give you another OOTD and this will be followed by an LOTD tomorrow. Like I said before it is my first time working with coloured pants, so I didn't want to go all crazy and try colour blocking or anything. 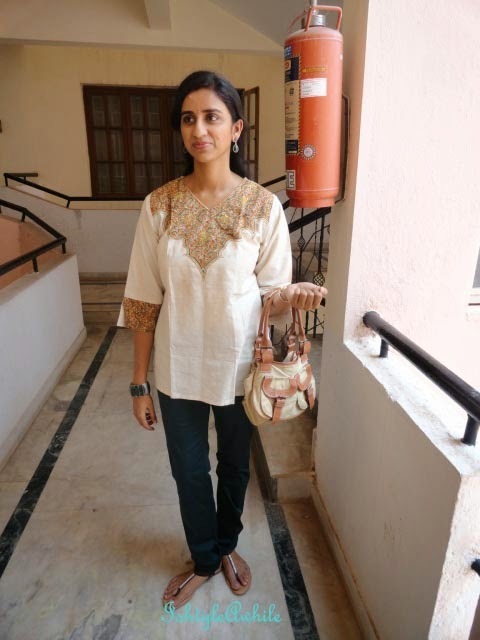 I just stuck to a simple kurti. 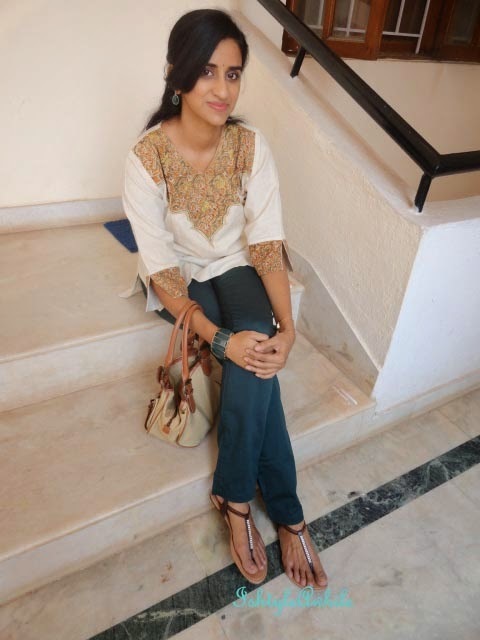 I like how versatile kurtis can be and I think they are really important for an Indian wardobe. But we'll talk about that in another post. 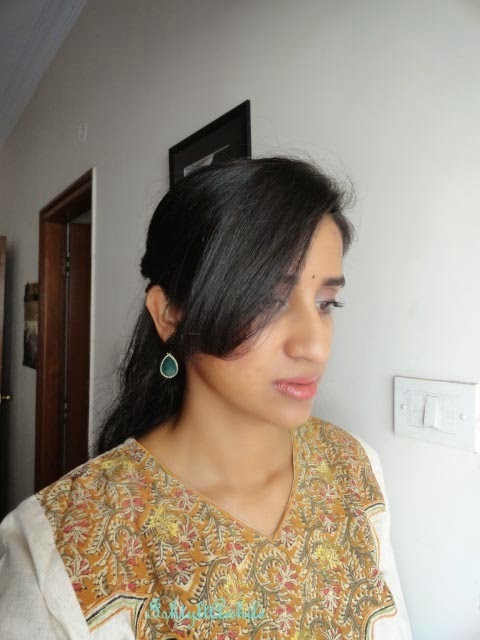 This was a kurti gifted to me so I have no idea how much it cost or where it is from. I think the work on it. It is like a kalamari design. The earrings and bracelet are a gift from my dad. He got it from US. The bag you have seen before here and here. I straightened my bangs after a really long time and I was so happy that they sat so well. So what do you guys think about the look? I am really terrible at coming up with names for an outfit like some bloggers do. So I just called the look as The Green pants. I should really work on that. A sneak peak at my LOTD for tomorrow. 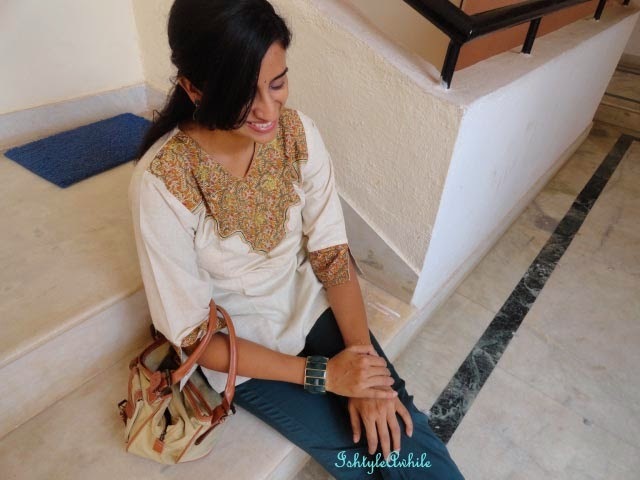 Summer Ma(Y)gic #12: OOTD: Lunch with school friends. 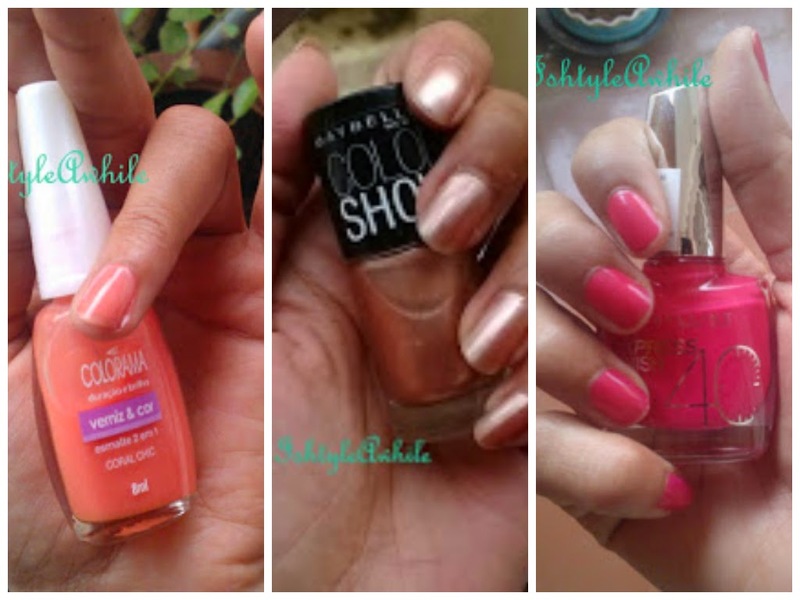 Summer Ma(Y)gic #11: REVIEW: Maybelline ColorShow Crayon Kohl in Noble Purple. Summer Ma(Y)gic #9: Fun Friday giveaway. Summer Ma(Y)gic #6: What's in my travel makeup kit. 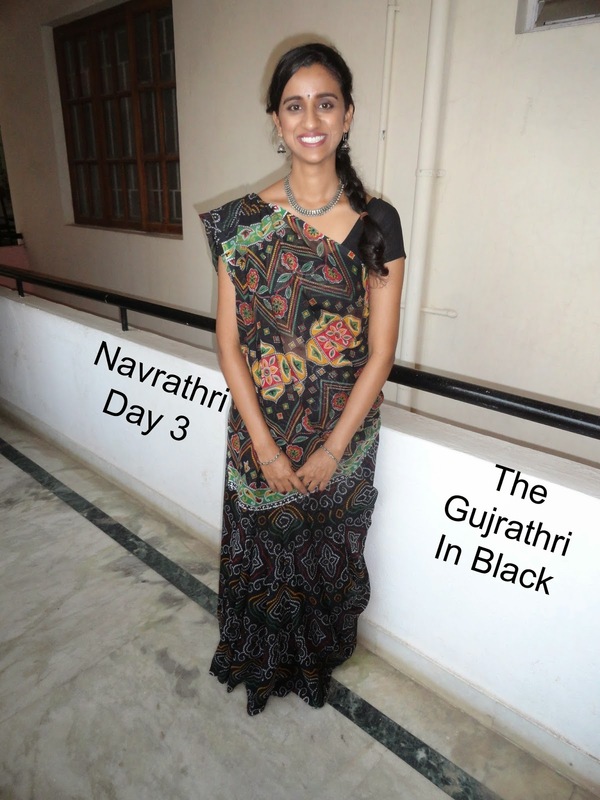 Summer Ma(Y)gic #5: I won a Giveaway and more..